The Minister of Power, Energy and Business Development, Hon. 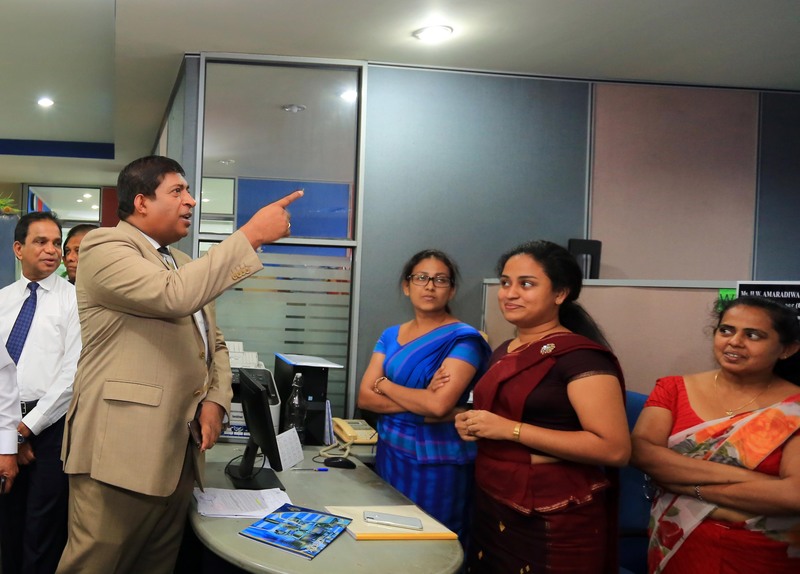 Ravi Karunanayake visited CEB Head Office on 22nd February 2019. The State Minister of Power and Renewable Energy, Hon. Champika Premadasa also joined the visit. Now you can pay your electricity bill instantly with Master or Visa card with no prior registration at all! Register for our SMS service for numerous benefits. Register and create your own account to get one step closer to us and experience convenience and benefits. Check out our planned power interruption schedule before you make plans. Let’s be aware, let’s be prepared! Submit your complaints and help us improve to provide you a better service. The Ceylon Electricity Board now offers Electricity consumers the option of receiving a number of SMS based services such as the following. If you are an electricity consumer in any of the Island wide, you can register to this service by following any of the following steps. For Balance Query " B 1597302235 "